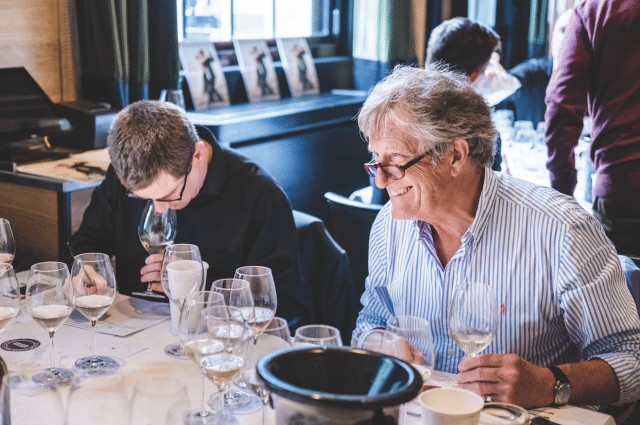 We bring you the all the medal-winning wines from this year’s Champagne Masters, including the biggest names in the business, and some relative newcomers to the category that are offering great fizz at competitive prices. While the Champagne Masters are focused entirely on Champagne, one can’t help but consider the quality and style of sparkling wine from elsewhere when tasting this fine French fizz. And had we been conducting this tasting more than a decade ago, Champagne’s competition would have been fewer in number and weaker in threat. But today that competition is many and strong, with, notably, new quality entrants from places such as coastal Chile, Central Otago, Franciacorta, Trento, and England. Good fizz from Spain, California and Australia was already on the international stage 10 years ago. With that in mind, today Champagne must be not only good, but clearly the best to remain the benchmark, particularly as its prices creep upwards, most notably among the famous Brut non-vintage brands. 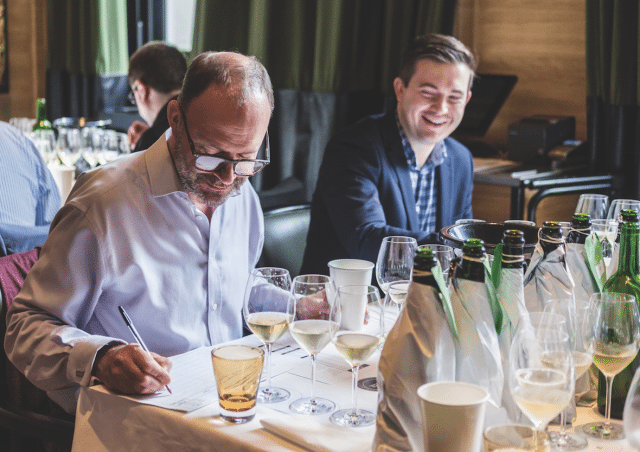 With the Champagne Masters including the main producers, and, significantly, the 10 best-selling grandes marques, this blind-tasting competition acts as a health check on the region. It identifies the base level of quality and the stylistic trends, as well as the strengths and the weaknesses. 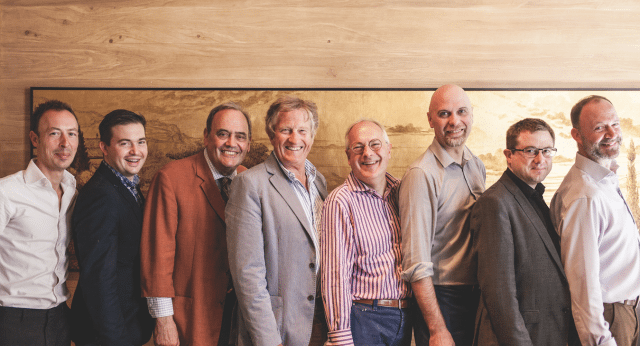 Importantly, the people doing this are experts in their field (see above), and are attuned to the developments in the wider sparkling wine business. Although the Champenois should resist any temptation to give way to complacency, the standard of fizz in this year’s competition was high. Indeed, it would be hard to think of another sparkling-wine region where the base level was as consistently impressive. Those wines in Champagne’s non-vintage category may not be cheap, but almost all of this year’s entries gained a Silver medal or above, which is no easy task – not only are the judges exacting, but the entries are being judged relative to other Champagnes, and good ones at that. As we have reported in the past, the major maisons have been improving their big-selling blends – and this has in part been achieved by the use of better-quality grapes and a higher proportion of first pressings, but more obviously from extending the time the Champagne spends in contact with its lees after the second fermentation in bottle, as well as increasing the quantity and age of reserve wines, which provide added depth and complexity to the Champagnes. A touch more precision has also been observed in this sub-category, which stems from the decision across the board to lower the amount of sugar added to the wines at disgorgement. Other tweaks are also contributing to quality enhancements, though less uniform, and these range from the use of state-of-the-art winery equipment, the addition of large oak vats for fermentation and ageing, along with (particularly important for consistency) the installation of the so-called ‘jetting’ system during disgorgement, which reduces the risk of excessive oxygen ingress when the cork is applied. While the quality across the board was high, some brands did stand taller than others, in particular the more expensive marques, proving that there is a strong relationship between price and quality in Champagne. Among these was perennial top performer Charles Heidsieck, which manages to deliver a brut NV with ripe fruit, a creamy texture, but also a smoky ‘reductive’ note, and plenty of freshness – a result of skilful blending from a vast palette of well-stored reserve wines. Also, for those who are convinced that the lower the level of sugar in a Champagne, the better it must be, Charles Heidsieck has achieved its award-winning style with a more ‘traditional’ level of 11g/l for its brut NV – when the majority of brands are now at levels of around 9g/l. This relatively generous dosage adds to the richness of the Champagne, but no one could accuse Charles Heidsieck’s Brut NV of tasting sweet, or being unbalanced. A mention in this category should also go to Taittinger, a house that is making wonderful non-vintage Champagnes both at the entry level and further up the price ladder with its Prelude Grand Cru. These are wines that benefit from a high proportion of first-rate Chardonnay, as well as the know-how of Loïc Dupont, who has worked at Taittinger for more than 30 years. At slightly lower prices, it was also pleasing to see the big-volume producers on song, with Moët, Veuve Cliquot, Nicolas Feuillatte and Lanson all gaining Silvers, proving that high production levels need not be a barrier to quality in brut NV Champagne. Beyond the brut NV Champagnes, this year’s Masters highlighted the positive impact of first-rate weather conditions as well as rigorous grape selection. The vintage and prestige cuvée categories attracted a raft of Master medals, which are awarded only to outstanding wines. To deal with the impact of weather first, it was perhaps not surprising to see vintage and prestige cuvée Champagnes from the 2008 and 2002 harvests gaining Masters – both being brilliant vintages, and the two standout years of the noughties, thanks to wonderful climatic conditions throughout the growing season. With the majority of the 2002s from the famous maisons released some time ago, and sold out, it was good to find some Master-winning examples still on the market – Piper with its Rare 2002, and Comtes de Dampierre with its top-of-the-range expression from this vintage. Piper also picked up a Master for its vintage 2008, as did Champagne Mumm – the latter offering a chance to sample this great year at a relatively affordable price. As for grape selection, the high number of Gold medals awarded to vintage and vintage-dated prestige cuvée Champagnes across a range of years attests to the quality attainable when the best grapes are singled out for gentle pressing and extended ageing. With more than 33,000 hectares of vineyards in the Champagne region, it’s always possible to isolate sites where the bunches have the right balance of sugar, acid and flavour-giving compounds for making top-end fizz from a single year, and even in vintages where the weather is variable. Indeed, one of the highest-scoring Champagnes from this year’s competition was from the controversial 2003 vintage – a year of climatic extremes and low yields. This sample, from Champagne Castelnau, was one of the many surprise discoveries from the competition, the sort of wines that our Masters blind-tasting format seeks to identify. Other interesting finds included the brilliant Blanc de Blancs from Champagne Le Brun de Neuville, Palmer and Delamotte, as well as an outstanding example from Frerejean Frères – a relatively young house, and a name to watch. Other producers that performed well this year across the categories include Nicolas Feuillatte, which offers great-value Champagne in the vintage category, as well as Henriot – a producer of wonderful pure Chardonnay Champagnes – and Deutz, which gained a Master for one of Champagne’s most underrated prestige cuvées, Amour de Deutz. In short, the Champagne Masters 2017 showed that Champagne is still the benchmark for traditional-method sparkling, and that consumers of this great fizz will be rewarded by spending more. Finally, while it confirmed the quality among maisons already renowned for quality, it also drew attention to less famous names from the region – allowing you to try something new safe in the knowledge that it won’t disappoint. Over the following pages are all the medal-winners in 2017’s Champagne Masters.